Make contact with our reps at 020 3746 3201 or simply fill in our contact form and we will quickly provide you a non-binding price offer. If you are at home when the experts come they will start by making sure that things haven't changed since you drew up your list. They are going to make a brief check around your place and verify whether they could complete all the tasks identified. You can change your requirements if there’s too much tasks to be completed within the time available. We are experts in providing adequate spring cleaning in Richmond upon Thames TW to the people and firms in the region previous to, throughout and after the spring season. Our qualified cleaning technicians work on per hour basis and can clean anything which you request if the time is sufficient for the task to be completed. You decide what we clean and we will do it with professional devices and detergents! We can freshen up any appliance, surface, room, or whatever you need properly cleaned. Better Cleaning Company chooses its cleaners mainly based on recommendations from reliable sources. We carry out a thorough record check for all our workers. They are all diligently trained to deliver the results with our cutting edge cleaning gear, tools, and Prochem licensed solutions. Our one off cleaners Richmond upon Thames TW deliver an exceptional one off home, spring and building contractors cleaning service, and execute their task in line with the quality and safety treatments of our professional cleaning company. All of our services are completely covered by insurance. Request A Free Estimate & Get One Off Cleaning Now! 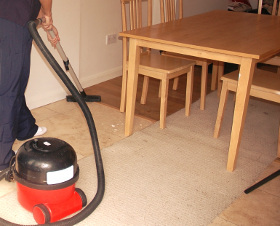 Our one off cleaning Richmond upon Thames TW company had made a very effective system for easy bookings. You can easily make contact with our 24/7 customer call center via phone 020 3746 3201 or through our web based booking form to receive our service all year. We deliver high quality cleaning at rational prices. No advance payment is necessary. If you combine more than just one of our services in the same time, we will reduce the price of any additional service by up to 15%.